We’re now just a couple of weeks away from the release of Wonder Woman and with the movie receiving overwhelmingly positive reactions on Twitter ahead of the review embargo lifting, Warner Bros. has released another eye-catching new poster for the highly anticipated DC Comics adaptation. 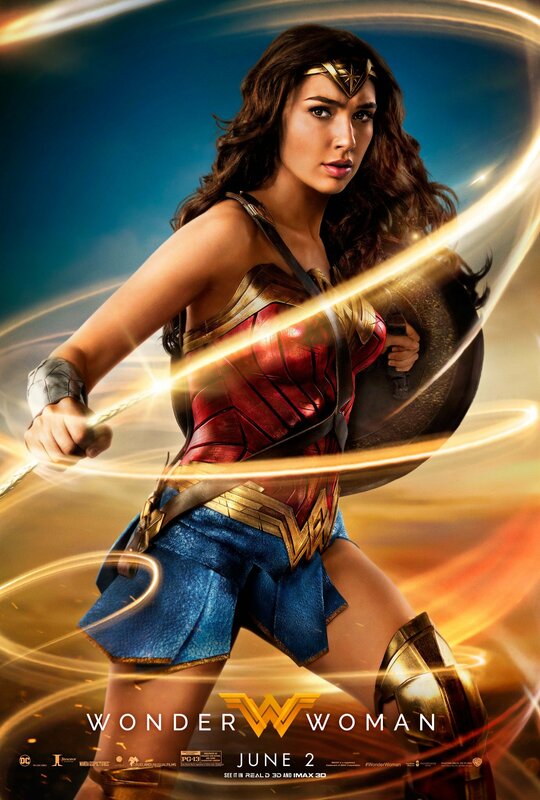 As you can see below, it features Gal Gadot in costume as the Amazon warrior wielding her Lasso of Truth, an iconic piece of Wonder Woman imagery which surprisingly hasn’t factored all that heavily into the movie’s marketing campaign thus far. Assuming the reviews are as positive as the Tweets we’ve been seeing over the past 24 hours, that’s going to help Wonder Woman at the box office in a big way – which WB is no doubt pleased about. After all, Warner Bros. needs Wonder Woman to be a success. While both Batman V Superman: Dawn of Justice and Suicide Squad performed well at the box office, they still disappointed most people. At this stage, the studio can’t afford to have another disappointment on their hands, as they’ll risk alienating fans and regular moviegoers alike. It’ll be interesting to see how the full reviews for the film turn out, but if nothing else, we can definitely say that the marketing campaign has done a good job of selling Wonder Woman. For proof of that, just look at the stunning new poster below. Gorgeous, isn’t it?